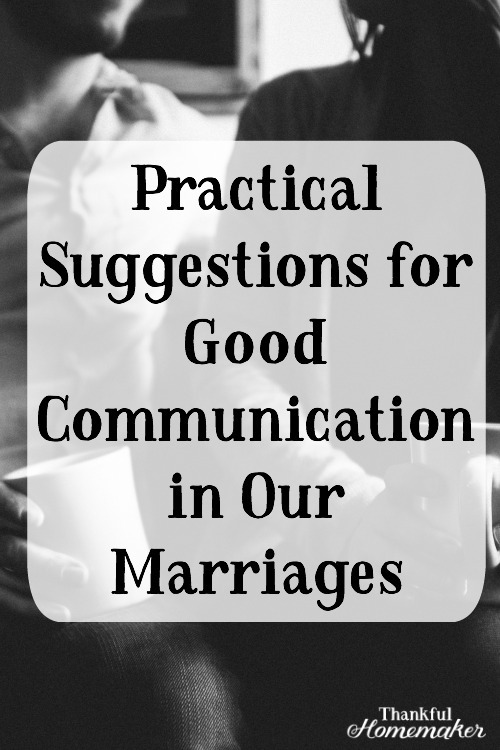 Communication with our spouses is foundational for a good marriage. Our marriages are our closest relationships, and the hope is they would be spurring us on to love God more and through that loving each other more. God created us as relational beings, so it is natural to want to relate to other people. To have good communication, our marriages need to be built on trust. In Christ, we are no longer under condemnation (Romans 8:1), but sadly in our relationships, we fear as we open up all our issues and failure and doubts that the other person will condemn us. We need trust with our spouses with the hope that they will protect and care for our souls as we lay them bare before them. The deepest communication we can have with our spouses is when we are sharing with them about the relationship that is our deepest, greatest treasure and that is our relationship with the Lord. Rick Thomas shares in his book, Communication: Redeeming Talk Trouble that one of the things that hinder us from opening up with another person is whether or not we can trust them. What will they do with the information shared and how will they respond to us? Will they gossip and tell it to others? Judge us or critique us? Until trust is built it will take time to get your husband to open up to you. Especially if you have hurt each other in the past with your words. Another guideline he gives is to embrace small talk because in time it leads to deep talk. Don't feel like every conversation with your husband needs to be deep. Take the time to enjoy small talk, and during this time you will continue to build trust in your marriage. Have some questions on hand to discuss at those moments when you're out to coffee or just sitting at the dinner table together. Below are two sections to help us in understanding what true biblical communication looks like in our marriages. Wayne Mack gives six biblical principles to help guide us in openness and honesty in our communication with one another. He recommends to use these as an exercise in honesty and openness and states them in the form of a question so they can be a guide in our communication with our spouses. Is it really true? Do I really have all the facts? Is what I would like to say profitable? Will it help or hurt? Be constructive or destructive? Is this the proper time for me to say it, or would it be better for me to wait? Are the words that I will use the best possible way of saying it? Have I prayed about his matter and am I trusting God to help me? When there are problems, each must be willing to admit that he/she is part of the problem (Genesis 3:8-19, Proverbs 20:6). Practice the golden rule—Matthew 7:12. What would you like your mate to do to you? Would you like your mate to: Tell you the truth? Ask your opinion? Help in time of need? Be natural around you? 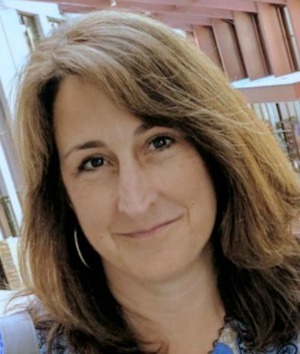 Thank you for your help or services? Well, then do the same for him. Practice the principle laid down in Luke 6:35. “Do good—do that which will help others; and lend expecting and hoping for nothing in return. These are all good guidelines above and were taken from Wayne Mack's book Strengthening Your Marriage from chapter 7 on Good Communication. True oneness in our marriages begins with good communication. This post won't be enough, but I hope it will get you reading and praying and asking the Lord to help you and your husband to communicate well. Tomorrow's podcast is on communication in our marriages and will be another encouragement in this area of your marriage. We desire our spouses to share their deepest thoughts with us, but it's not going to happen by forcing them to communicate. We need to model the gospel in our homes. It needs to start with us sharing our vulnerabilities, failures, weaknesses, and fears with our spouses. Our relationship with the Lord is our strongest relationship because we trust Him. I pray that our marriages would be next on the list. Be a good student of your husband and be a good and trusted steward of his heart. Make sure your home is a place of grace. If you've not responded well in the past to things, your husband has shared start anew today and be ready to give it some time. Pray and ask the Lord to build trust in your marriage with one another with the hope that you two will get to dig into the deeper places of each other's hearts. « Podcast Ep. 38: Marriage Series #5 – What Does Submission in Marriage Look Like?